The Special Operations Forces Tactical Tourniquet (SOFT-T) is one of the most popular tourniquets made, with many selecting it as their item of choice to control severe extremity bleeding. The SOFT-T is reliable, sturdy, and easy to apply, especially when only one hand is available to the casualty. 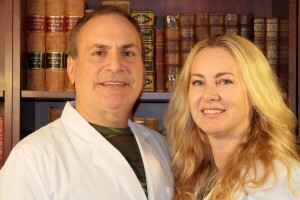 The US Army Institute of Surgical Research reports a 100% effectiveness rate in stopping hemorrhage. 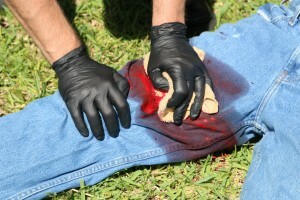 Tourniquets like the SOFT-T are used in a life-threatening situation, and its ease of application is a major advantage when no time is available for training purposes. Having said that, it’s important to become acquainted with the use of every item in your medical kit. 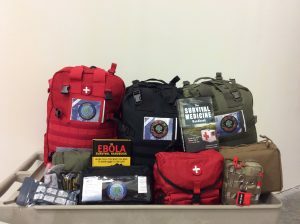 The SOFT-T particularly shines during transport, with a screw that that can be fastened to prevent accidental release during the jostling that can occur during evacuation to a modern medical facility or, in a survival scenario, to your sick room or hospital tent. Here’s Nurse Amy to show you the method of application of the SOFT-T.
For a review of several popular tourniquets (and much more), check out the 700 page Third Edition of the Survival Medicine Handbook: The Essential Guide for When Medical Help is Not on the Way. And don’t forget to fill those holes in your medical supplies by checking out Nurse Amy’s entire line of kits and supplies at store.doomandbloom.net. You’ll be glad you did.